Love, Loyalty & Friendship - These are the three core values the Claddagh ring represents. 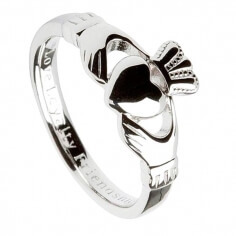 We have even engraved those words on the inside of this Sterling silver band. 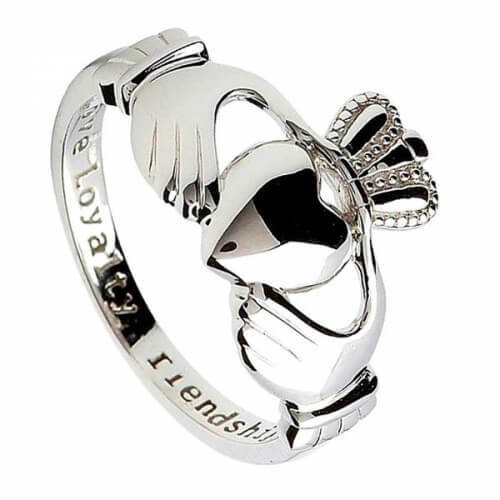 The hands represent friendship, the crown is loyalty and the heart is love. 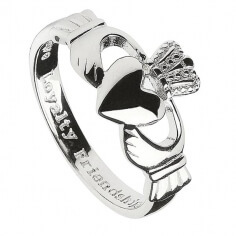 This is what makes the Claddagh ring the perfect gift for your beloved.